Lately I've been getting obsessed with Carol Dweck's Growth Mindset work. Not just reading the cool infographics that come out about Fixed vs Growth Mindsets on Twitter and then saying "yeah, hell yeah, I am growth mindset" and then moving on. I'm really reading in depth about this and seriously critiquing my own mindset in different parts of my life. Then, to avoid having to change stuff in my personal life, I promptly shift my thinking to my professional life and consider how school leaders and teachers can be supported to develop Growth Mindsets in themselves and their kids at school. I refer to Dweck's work a lot as I work with clusters that aim to become more future focused about their vision and practices. Alongside this I've been getting obsessed with Guy Claxton's work. Exploratories! Powerful learners! Get Learning Fit! The importance of resilience, resourcefulness, reflectiveness and reciprocity in developing our minds to learn. The Learning Power Palette (Claxton, 2002, p. 68) designed with the future in mind with technological innovations changing the way we work, live and play. This and lots of other drivers within and aligned to this thinking all tells us that we need to think very differently about the way we teach and learn. To see more about the drivers and ideas, take a look at my presentation slides here from the recent CPPA Breakfast Session. I've also blogged before about being future focused - there is so much to think about in this space and I encourage clusters to create their own definitions of future focused education from all of the thinking and research available. The two paragraphs above are where my brain is at. I get led there and all over the place by the work I do with clusters of schools and services. Their thinking pushes mine and my thinking pushes theirs in a wonderfully brainfrying reciprocal way. “the essential weakness of all goal setting endeavours is the attempt to impose closed systems thinking on an open systems reality...The limitations of such efforts at achieving control is that they cannot succeed in any long-term way with an open system reality, which is complex, non-linear, interconnected and ultimately unpredictable” (Taleb, 2007 in David, et. al., p. 193, 2013). This quote above aligns nicely with Dweck's work where she talks about learning goals rather than performance goals (Dweck et. al. 1988). Suddenly, as a cluster we had permission to stop talking about goals and to keep talking about beliefs, vision while moving straight into what that looks like in practice. In setting goals we can end up with the issue where specificity can underestimate changeability and complexity. It might be a good idea to explore setting “fuzzy goals” instead. Fuzzy goals identify areas of "significance for the person [or cluster] rather than a precise description of what it might actually mean." (David et. al., 2013, p. 196). In shifting away from specific goals, the cluster can focus more on supporting others to help to set the vision and to cope with change through developing resilience, persistence and creative problem solving. Again, nice links to Claxton here. David et. al., state that goal setting is more likely to induce conservatism and uncreative thinking. They also advise that if you do set goals, they should be motivators - always subordinate to and in service of the greater complex reality allowing us to consider purpose and values. If you'd been where we have been in the cluster work, your shoulders would now visibly relax! This evidence aligned with our experiences and we could start to let go of the pressure we felt from ourselves and others to set specific goals. This post is getting too long but you're probably getting the gist of what I'm sharing here. I'll leave you with some thinking from two quadrants in the Beyond Goals book (can't put them here for copyright reasons). One related to long-term goal setting and the other to short-term goal setting. The only quadrant where specificity is recommended in goal setting (SMART goals) is in slowly changing environments with simple problems to solve. Therefore, nowhere in schools, services or clusters in education! As always, I welcome your comments as none of this is fixed thinking. Always open to shifting my thoughts!! Claxton, G. (2002). Building Learning Power: helping young people become better learners. TLO Ltd: Bristol. David, S., Clutterbuck, D., Megginson, D. (2013). Beyond Goals: Effective Strategies for Coaching and Mentoring. Gower Publishing Ltd: Surrey, England. Teaching as Inquiry is a process where teachers inquire into their own practice and use evidence about their learners to make decisions about ways to change practice for the benefit of those learners. It is a continuous, reflective and iterative cycle and is focused on complex pedagogical change. Regardless of the framework that is used (e.g. Spiral of Inquiry, Inquiry and Knowledge-Building Cycle) these same key principles apply to the process. 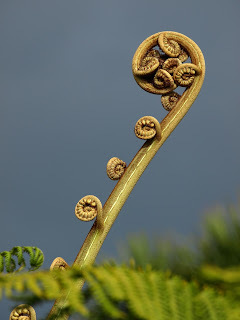 In my years mentoring and coaching leaders and teachers to implement the Spiral of Inquiry, I have discovered that there are many misconceptions about Teaching as Inquiry. I hope this post provides some clarity about some of the more common misconceptions, how to address them and therefore, how to foster a love of Teaching as Inquiry! 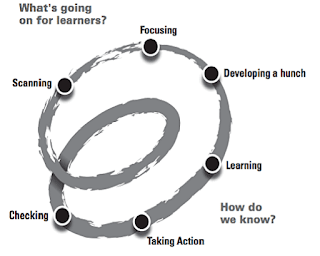 Spirals of Inquiry: Why do we focus on "target learners"? Sometimes I come across educators who have questions and concerns about why they are asked to focus on "target learners" to inform their inquiries into their practice. I have an issue with putting labels on people so I don't enjoy talking about "target learners" or "priority learners", in much the same vein of thinking as Alex Hotere-Barnes and Shelley Moore (among many others). Aside from the fact that it would be largely impractical to do justice to the Scanning phase if we focused on a large group of learners, this post explains why it is best to focus on a small group of specific learners. A colleague recently came to me to explain that some of the professionals she was working with appeared to be "stuck" in Scanning and didn't know how to move forward together into Focusing and Hunchwork to enable a focused collaborative inquiry to emerge.